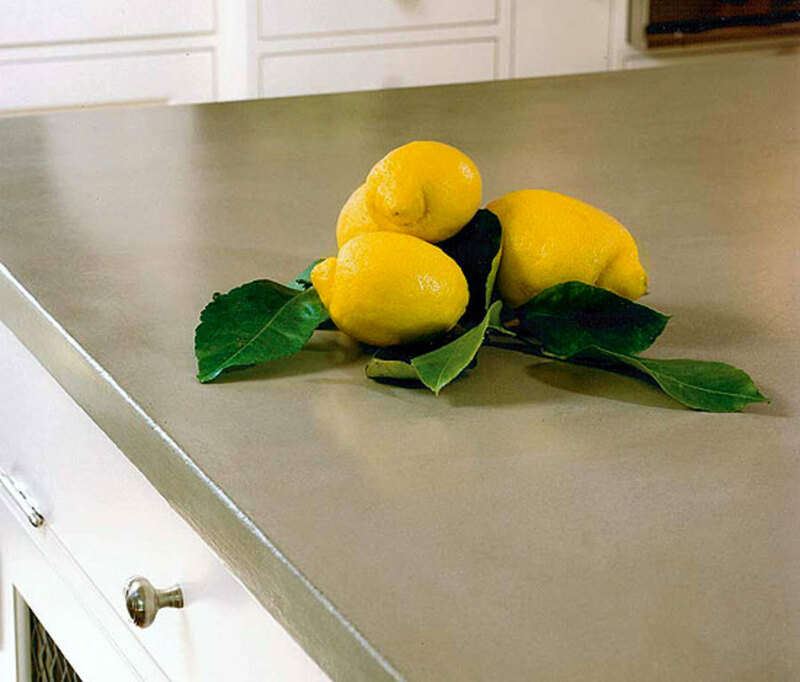 Plastic laminate (e.g., Formica®) is historic now, and only one of many excellent options for countertops. You might, in fact, take a cue from historic kitchens and use more than one surface: say, tile near the stove or slate near the sink, wood for food prep, marble for the baking counter. Photos show handsome, durable options for countertop (and also the backsplash). Trendy: The farmhouse sink (with a front apron that shows) now appears in every guise, from hard-fired white porcelain to copper to concrete. 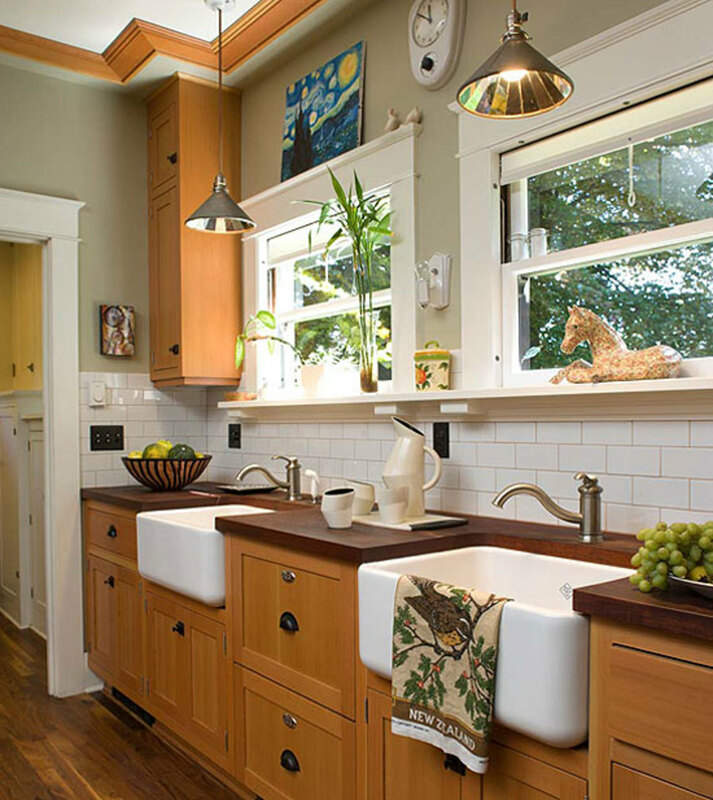 Avoid sinks in dramatic colors and sinks of unusual shape, unless the sink is in an island or bar). 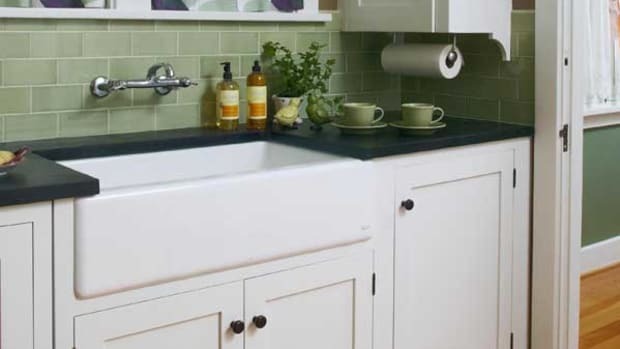 Timeless: Think farmhouse sinks in porcelain, soapstone sinks (integrated into the counter, or not), and surprisingly, concrete (subtle colors akin to soapstone or slate). 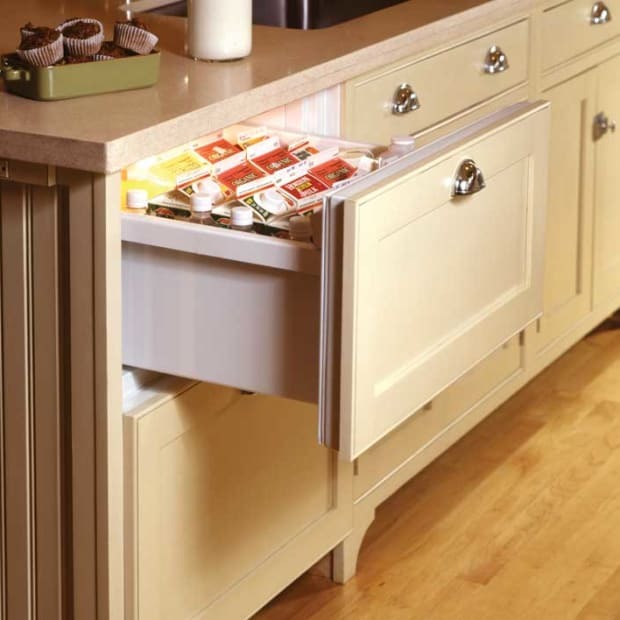 Copper is a timeless material for pantries and bars. Well-made faucets in traditional styles (wall-mount, hand pump, bridge, gooseneck, etc.) will always look right in an old house. 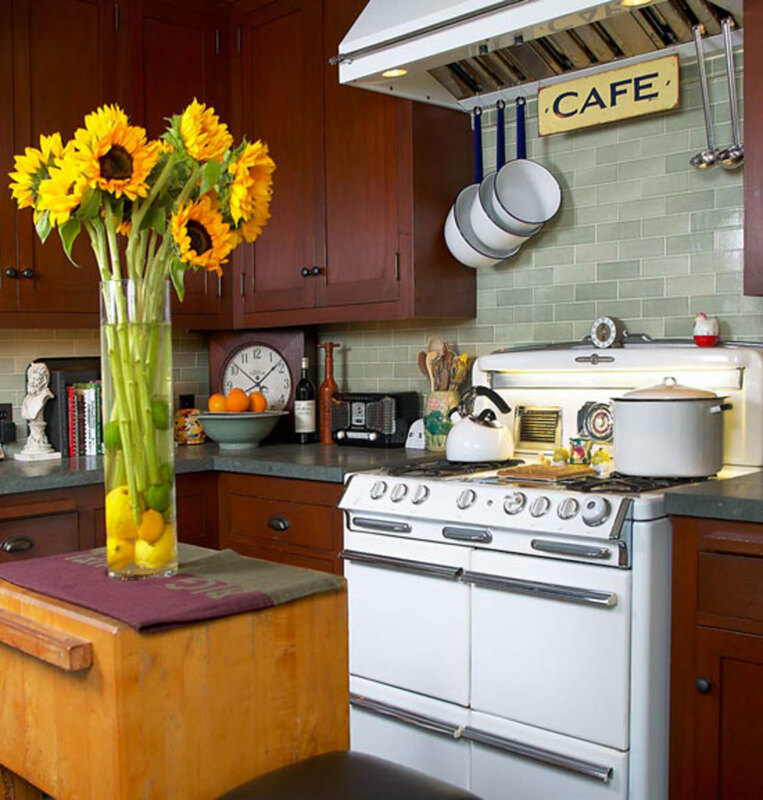 This soft-colored countertop is custom-finished concrete.Photo courtesy A stainless-steel countertop looks good in a bungalow-era kitchen, recalling historical zinc and Monel. Photo by William Wright. Trendy: Granite is now so ubiquitous that it teeters between a classic and a cliché. 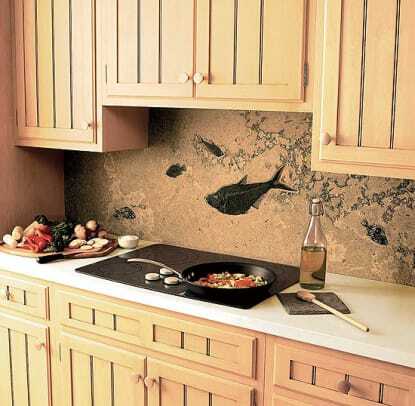 The more exotic the granite, the more likely it is to become yesterday’s trend, especially if the color is unusual. 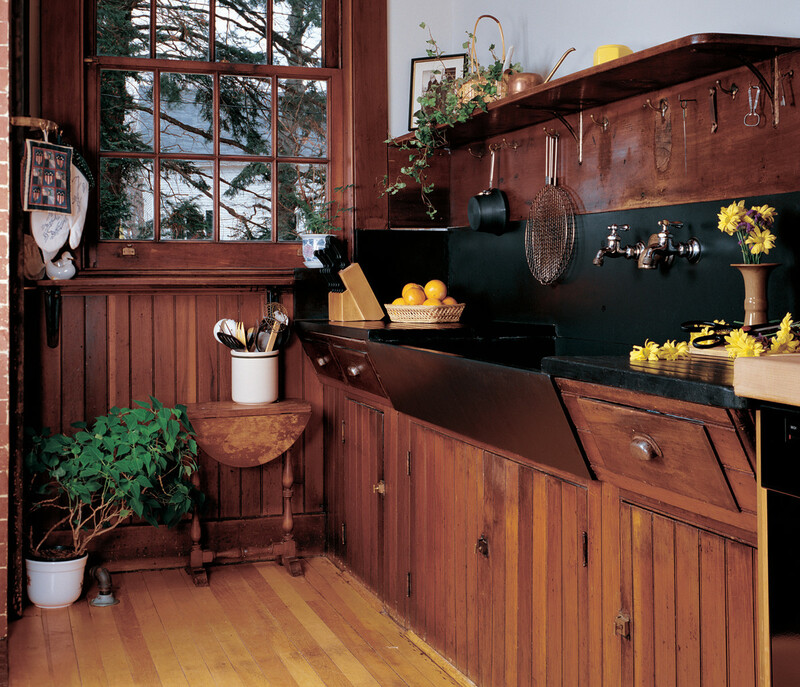 Slate, soapstone, and honed granite are timeless materials for countertop and backsplash, for houses of almost any period. Photo by Carolyn Bates. This marble look-alike surface material from Okite is a compound of natural quartz and resin, which complements this period-style kitchen. 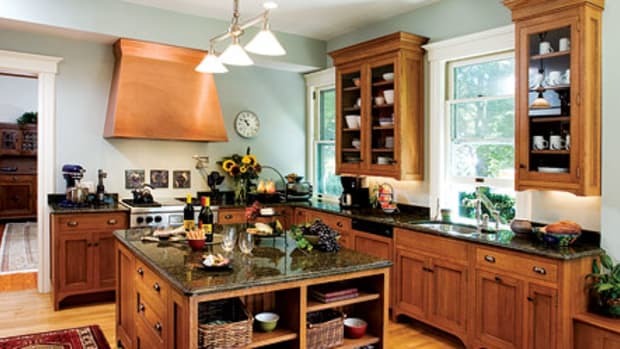 Timeless: If you use granite, go for a modestly figured very dark or very light stone, with a honed finish for a softer matte surface; avoid a glossy, highly polished finish. 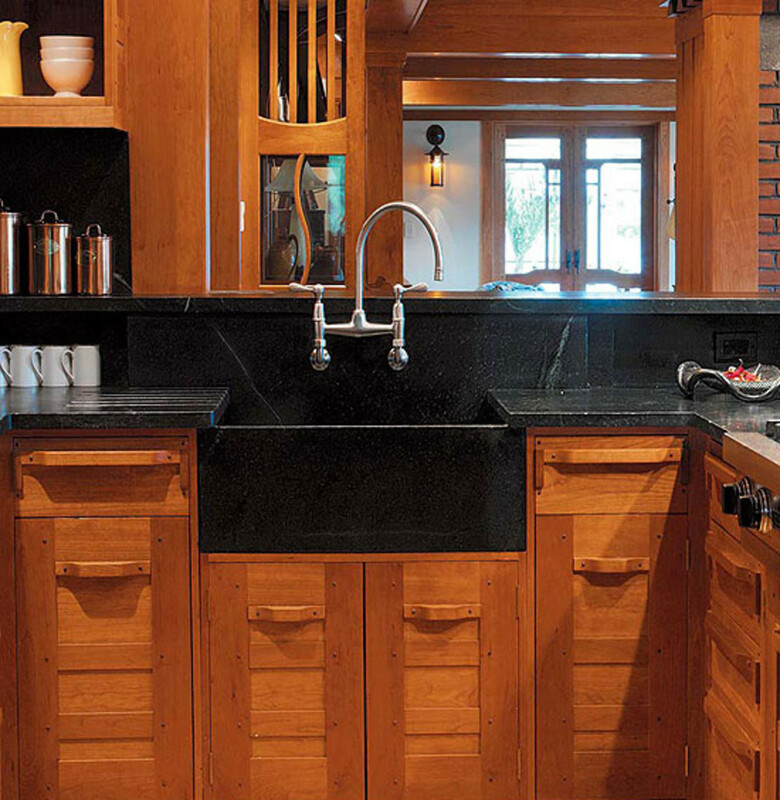 Soapstone and slate have been used for work surfaces for centuries. If you choose a solid-surface material like Corian or Silestone, stick with colors that resemble marble, limestone, or soapstone, avoiding odd colors that are not neutral. 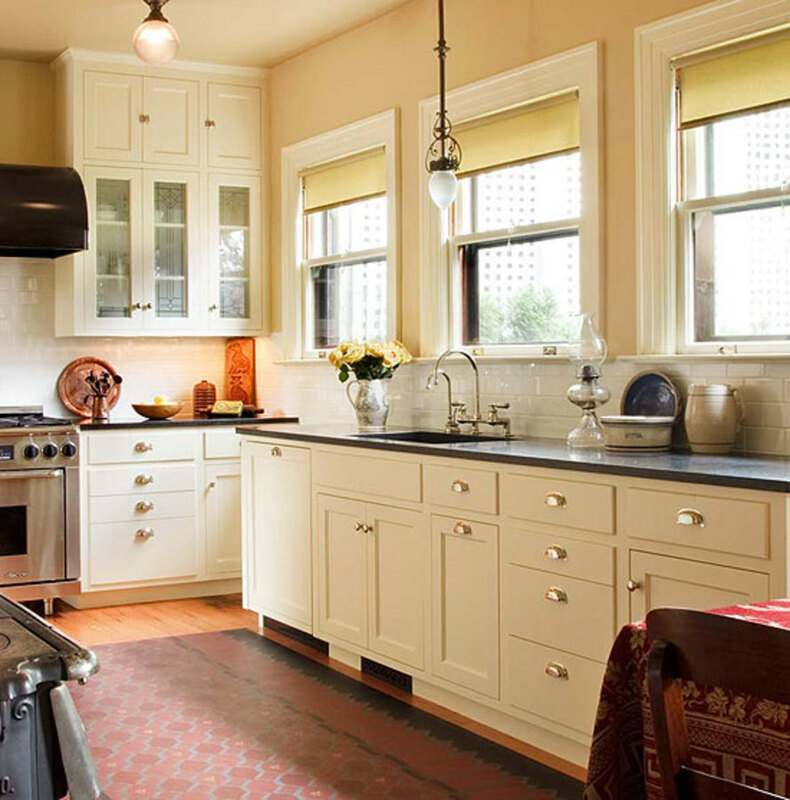 White subway tile works for Victorian-era kitchens and those of the Arts & Crafts revival. Photo by William Wright. An earthier green for subway tile gives a different, warmer look in a bungalow kitchen. Photo by Jaimee Itagaki. Trendy: An unfinished backsplash in drywall-white is hardly a trend, but the look is far too common. The backsplash should be wet-proof, easy to clean, and complementary to the countertops. 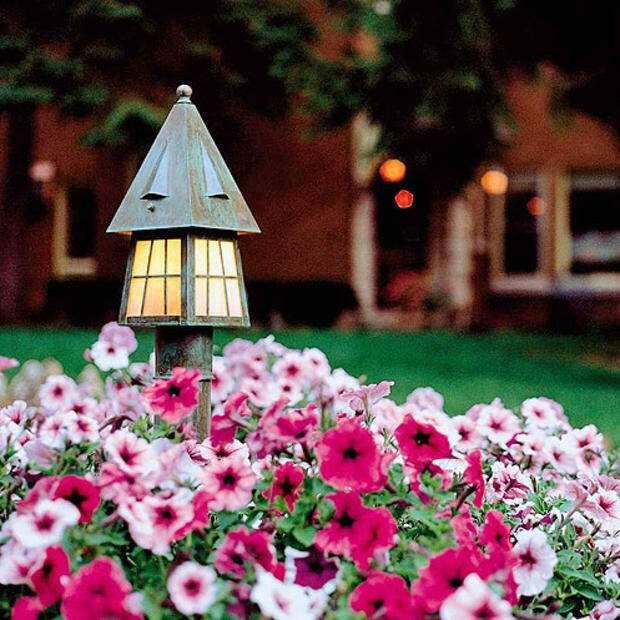 Color is good, but be sure you choose something in keeping with the room, not necessarily this year’s big seller. 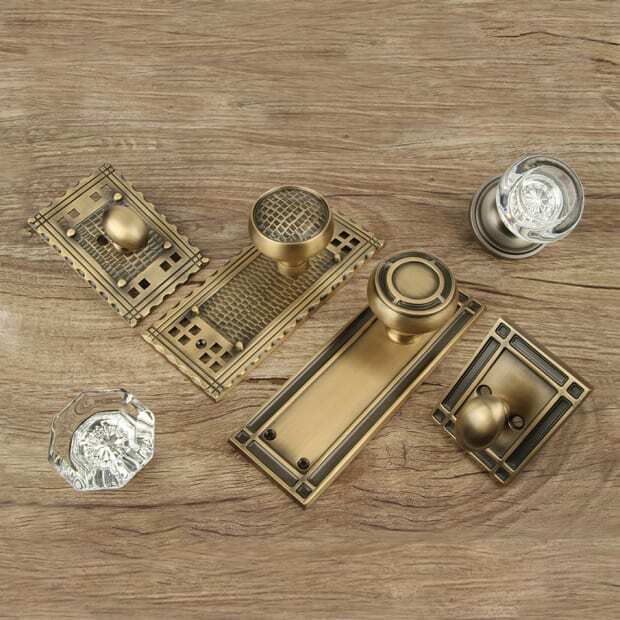 Timeless: If you’re not using the same material as the countertop (often the best choice when the backsplash is low), seriously consider tile. 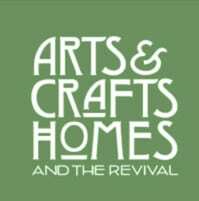 Think of subway tile (used from Victorian times into the 1930s), Spanish and jazzy colors used in the early 20th century, and earthy Arts & Crafts designs. Trendy: Sleek, “designer” kitchens that are either mostly dark or mostly light. It’s hard to see what you’re doing in a dark kitchen, even if it’s well-lit (too much contrast), and unless you’re Martha Stewart, most all-white kitchens quickly show dirt and grease. Black and white elements together almost never goes out of style. Note the use of a white tile backsplash and white cabinets, punctuated by a black stone countertop with integral sink. Photo by Philip Clayton-Thompson. 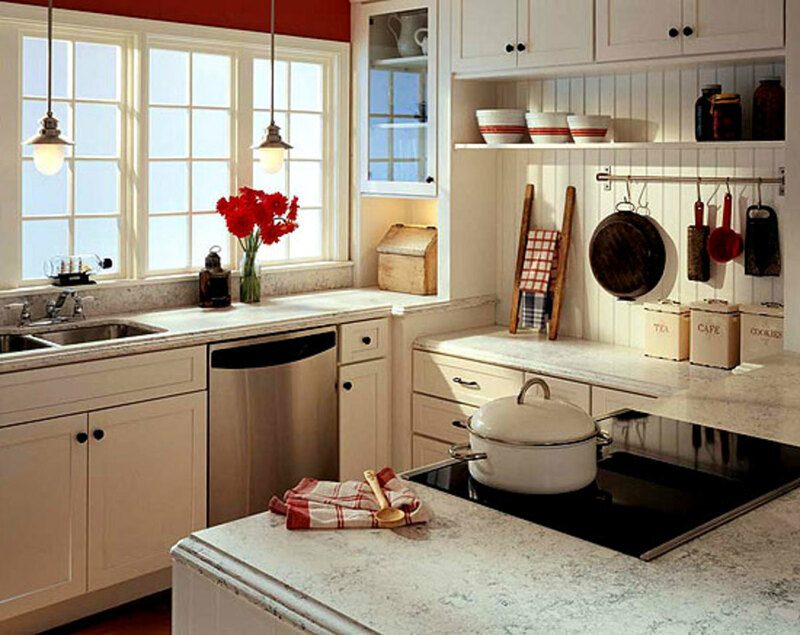 Timeless: The black and white kitchen: black or dark cabinets with light counters, or vice versa. The contrast between dark and light gives the kitchen more visual depth, and it’s restful. 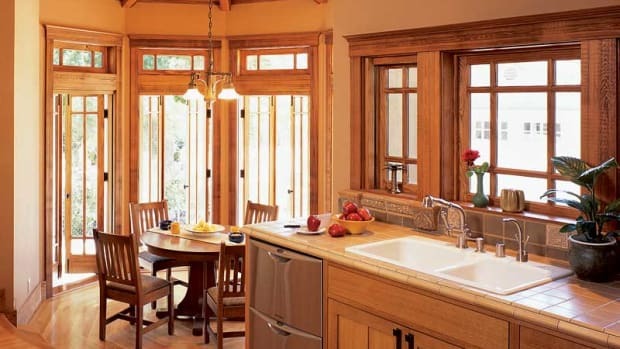 Wood has a place in almost every timeless kitchen: in the cabinets, on the floor, even on countertops. So does color. Don’t be afraid to specify cabinetry in a tint that’s appropriate to the age or style of your house, even the rich blue-greens of the colonial era.